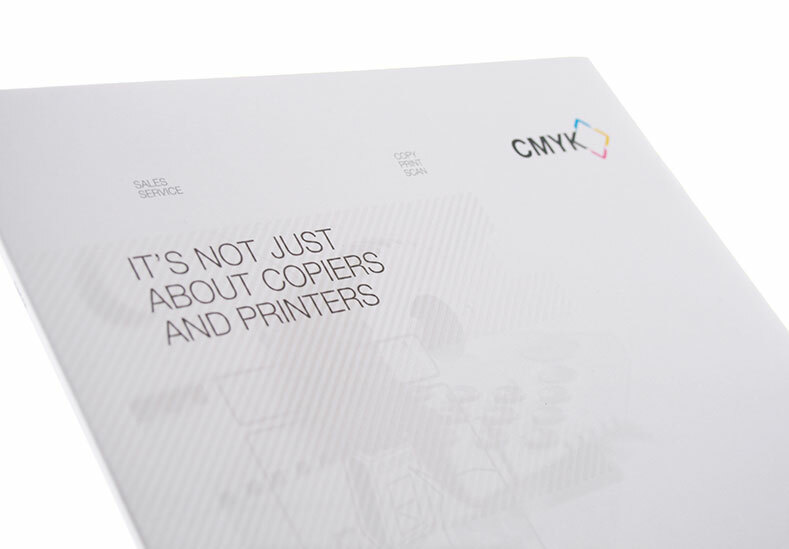 In line with continued company growth, CMYK recognised a need to update its visual presentation. 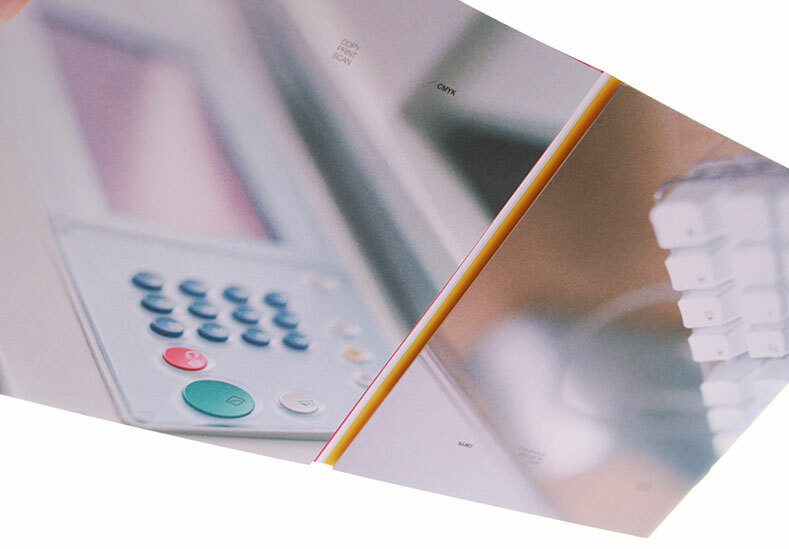 We were asked to create an updated identity which had some similarity to the previous ‘homemade’ logo whilst reflecting the company’s step up in professionalism and multi-faceted offering. 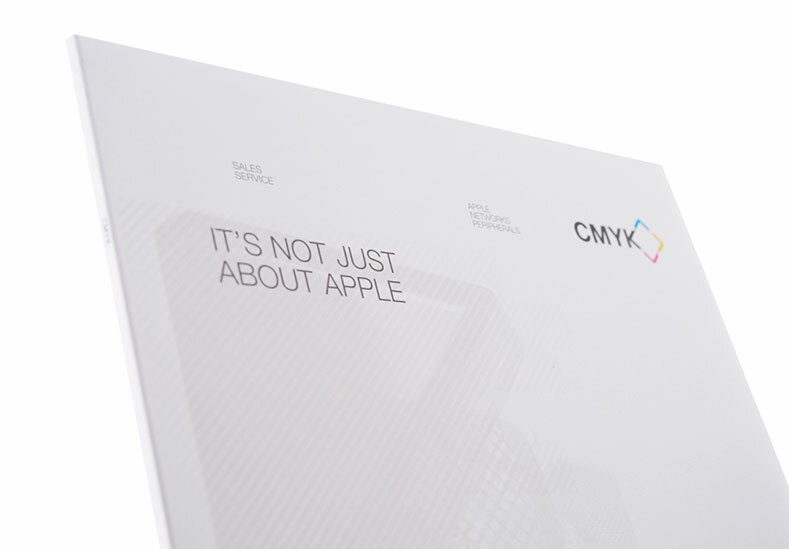 As part of the expansion of the brand, a corporate document was required to both sell and develop the two major aspects of the business at that time, general copier sales and service, alongside Apple sales and service. 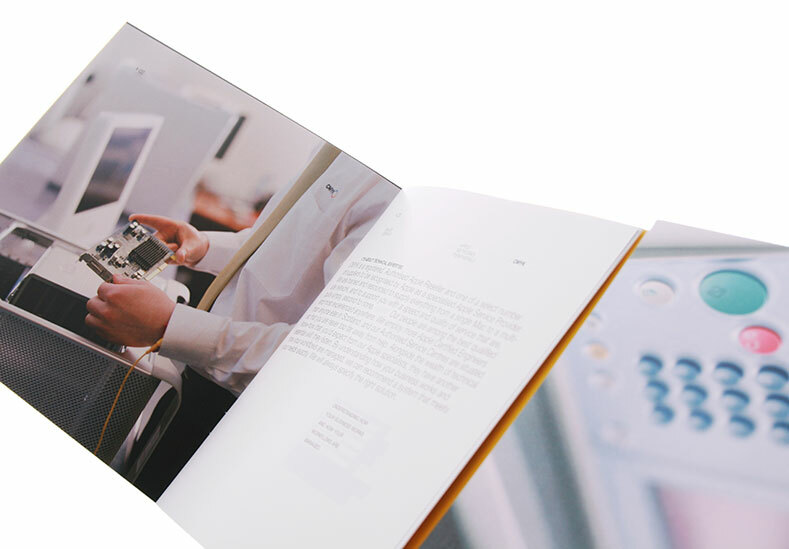 The document produced utilised high quality photography presented in a brochure that could be viewed from both ends (front and back), thereby reflecting the very different aspects of the core business at that time.